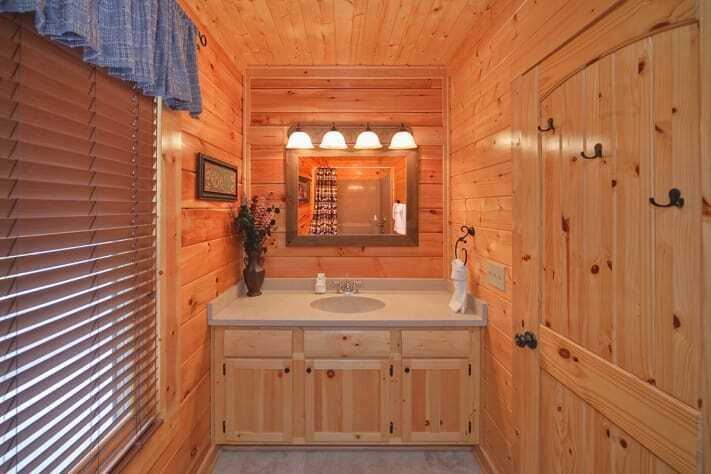 Shiloh’s Rest is an exceptionally built cabin with attention to details. 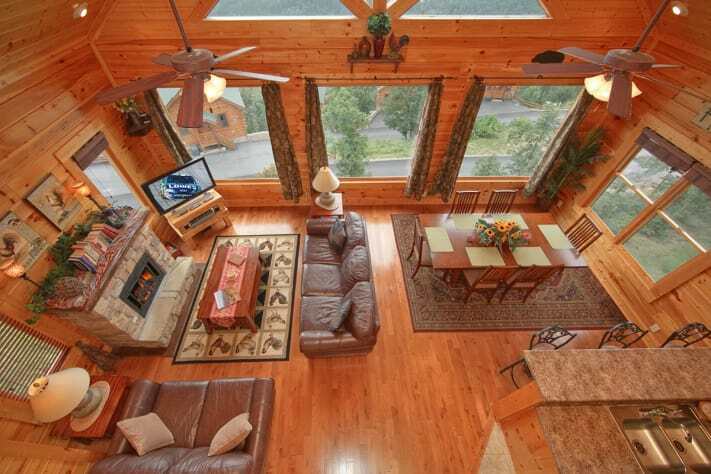 The workmanship of the cabin includes luxuries such as cathedral ceilings, hard wood floors in the living room and dining room and tile in the kitchen and bathrooms. 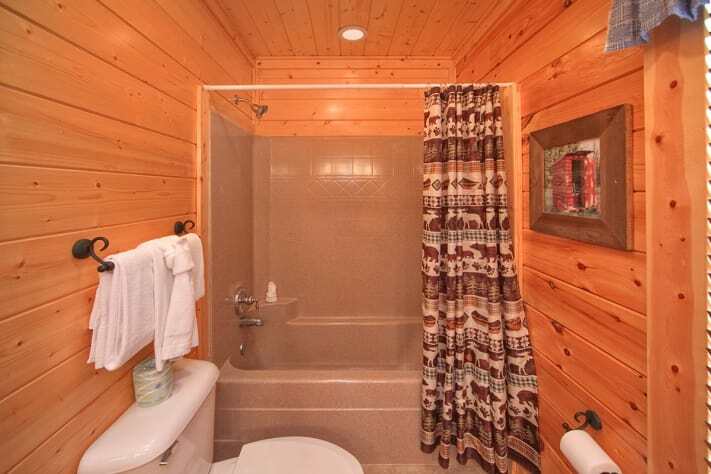 The cabin has tongue and groove walls and ceilings throughout. The dining, kitchen and living room have an open floor plan. 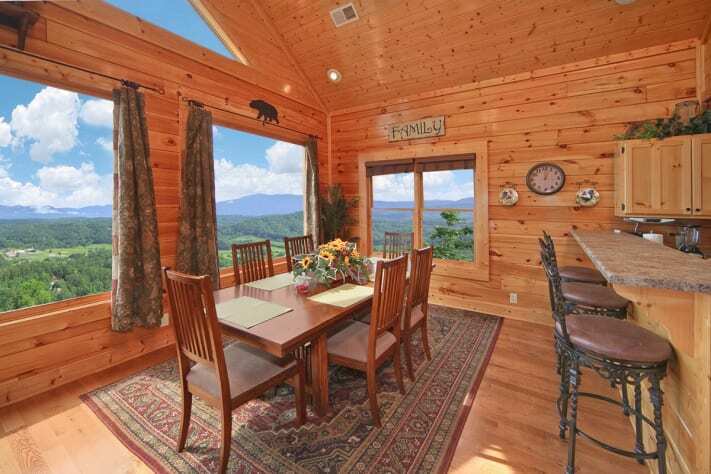 Gaze out on the mountains while cooking dinner or relaxing at the Dining Room table. There is a private king master suite on each of the two floors. There is also a loft with a pool table and a trundle day bed that can be used as a trundle bed or it can actually be snapped up into place to make a king size bed. 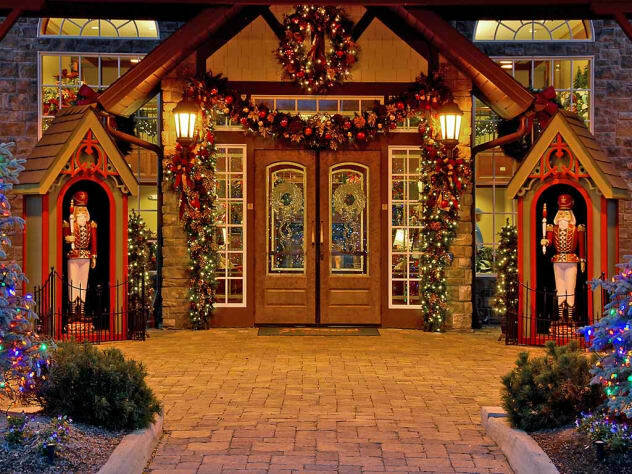 Shiloh’s Rest is located in the beautiful Legacy Mountain Resort. As you drive up the mountain, you will feel a sense of excitement. It will not be a frightened excitement caused by the roadway. The roads in Legacy Mountain Resort are wide, well cared for and easy to navigate. The excitement you feel will be caused by the multi-level vistas all around you. 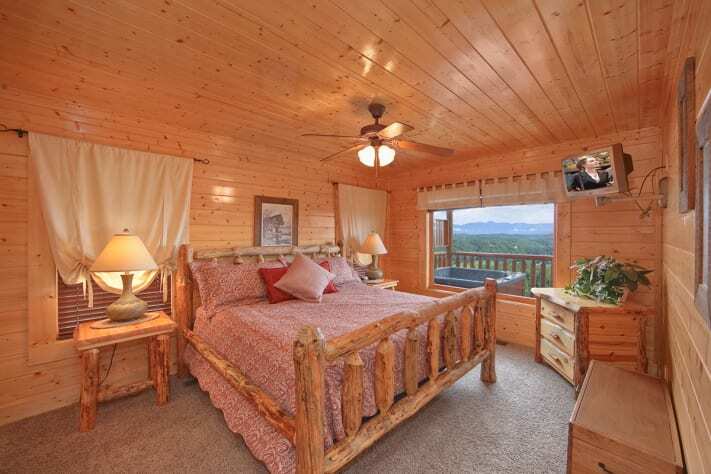 While at Shiloh's Rest, you will enjoy panoramic views of Mount LeConte. The View from Shiloh’s Rest is something you will never tire of. The view is constantly changing depending on the season, sun and clouds. It is called the “Smoky Mountains” because many times you will see the clouds (smoke) moving throughout the mountains below you, it just never gets old…. The dining room table and the deck are great places to sit and relax while gazing over the Mountains. 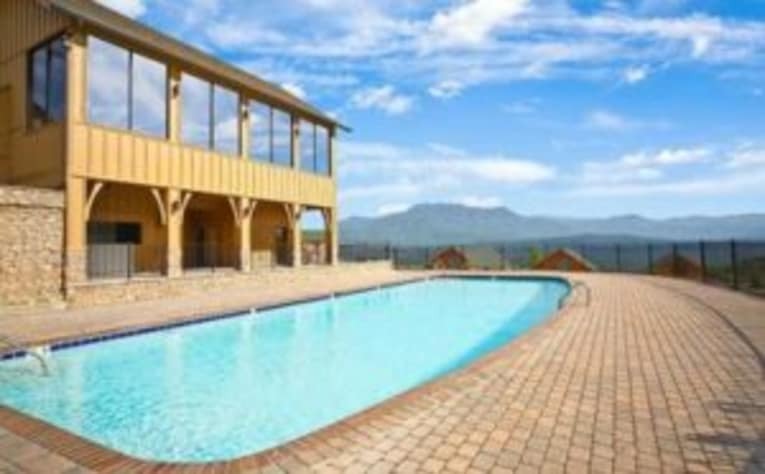 Imagine exercising at the resorts’ facility, swimming in the resorts’ pool, or just relaxing at the picnic area all at the top of the mountain overlooking the Great Smoky Mountains, the view is spectacular! If it is excitement you are after, there is the country's longest zip line course right on the resort property. 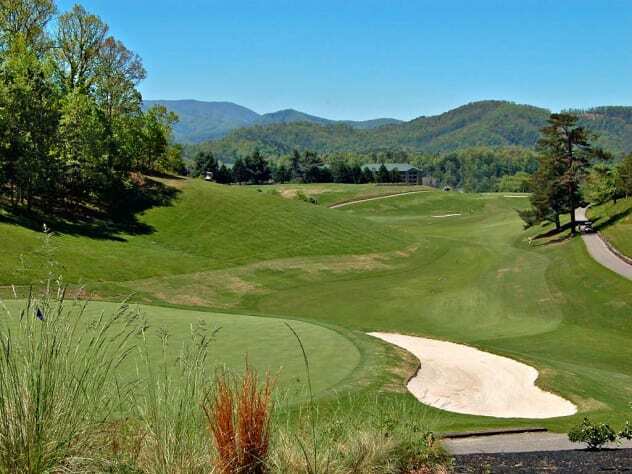 Their address is 2431 Upper Middle Creek Road, Sevierville, TN 37876. 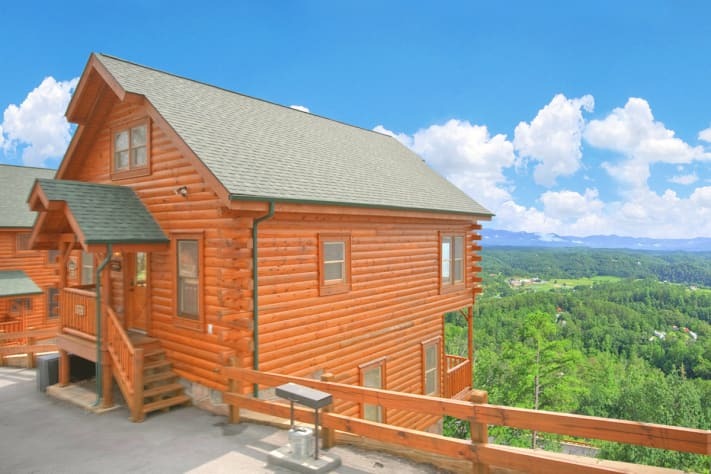 If you decide to venture out of the resort, the cabin is just a short drive from the parkway in Pigeon Forge and Dollywood. 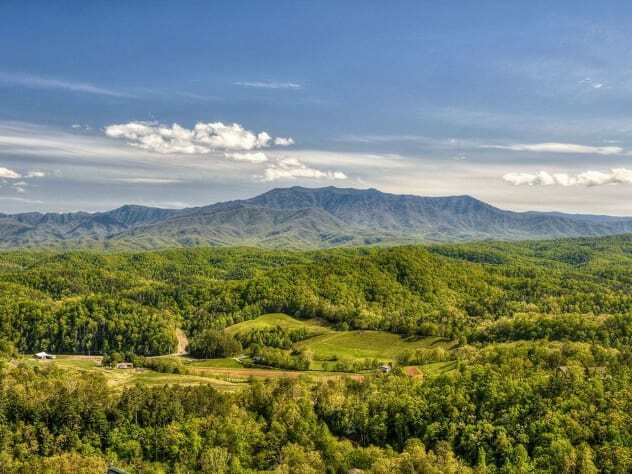 It is also a short drive in the other direction to the Gatlinburg and Great Smoky Mountains National Park. There is so much to do in the area, there is something for everyone. The area is full of history, beauty and fun! 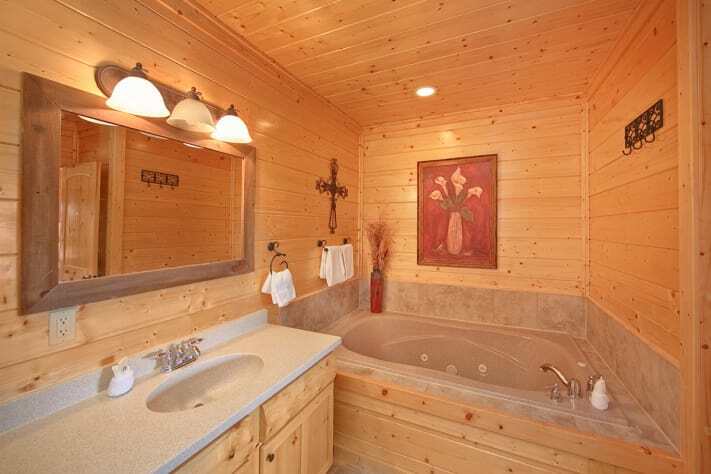 Add all this to a beautiful relaxing cabin and you are sure to have one of your best vacations ever. If you have any questions about our cabin, the area, or want to reserve your stay feel free to contact us, we will be more than happy answer your questions personally. We loved our stay at Shilo's Rest! The cabin was perfect for our little getaway and had everything we needed! We will definitely stay here again! My daughters and I enjoyed this cabin very much. The cabin was very clean and the views were gorgeous. 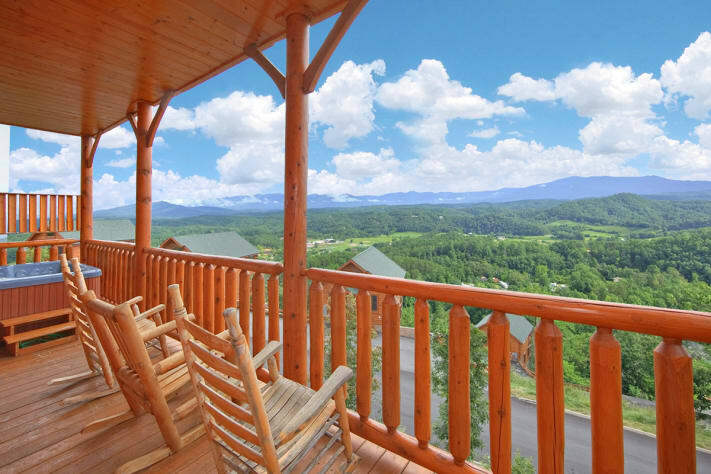 The drive to the cabin is very easy and close to many things in Pigeon Forge. The weather was exceptionally warm while we were there for February which was also nice. Evenings on the back deck and in the hot tub were amazing. Julie I am so glad you enjoyed your stay at Shiloh's Rest. The views from the deck is truly awesome and I too enjoy the mornings and evening there. We are so glad you could have some family time together and hope you return soon. We needed to recharge after a busy holiday. Loved relaxing in the hot tub and doing nothing. The sunset was beautiful. Bed was comfy. Quiet street. Thanks a bunch. We really needed this. We are so glad you were able to relax and recharge. 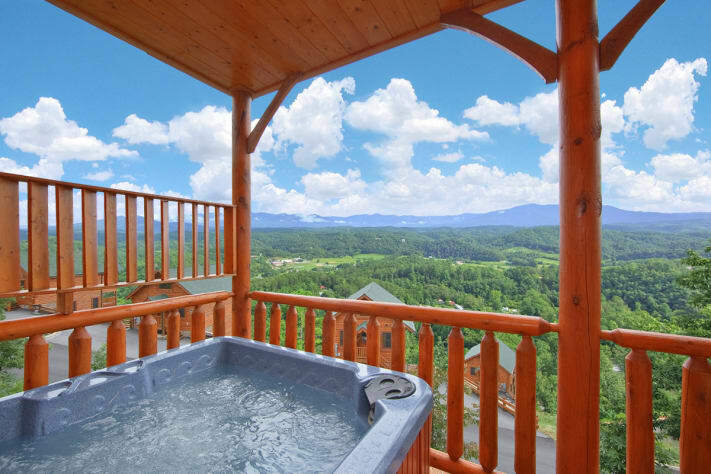 Doing "Nothing" in The Great Smoky Mountains sounds like a great way to unwind. Thank you for taking the time to leave a review. I can not say enough good things about this beautiful cabin. 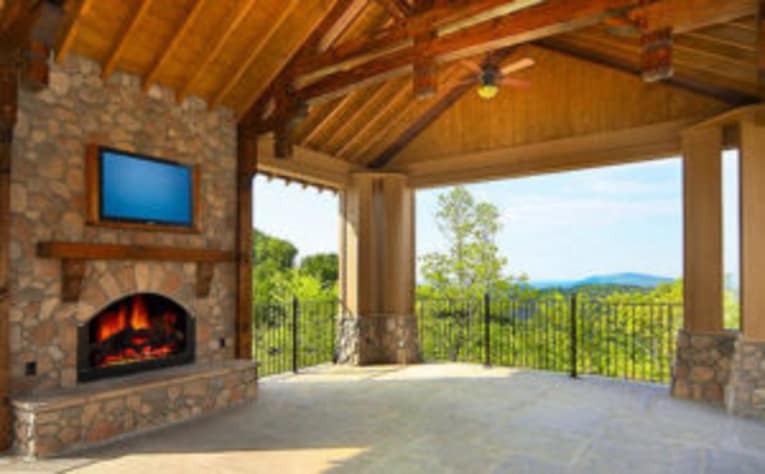 It has breathtaking views! The best around!! Enjoyed the hot tub with the beautiful scenery. Fully stocked kitchen. Comfortable linens and beds. Very easy to communicate with the management company, very clear directions to the beautiful cabin. It was our best trip to The Great Smoky Mountains and we will be back! Thank you so much for the memories! Thank you so much for visiting Shilohs Rest. I agree with you about the view, I have been in many cabins and the view from Shilohs rest is second to none. We really try hard to have the cabin ready for your visit and we love helping our guests enjoy the area as much as we do. I look forward to your return. 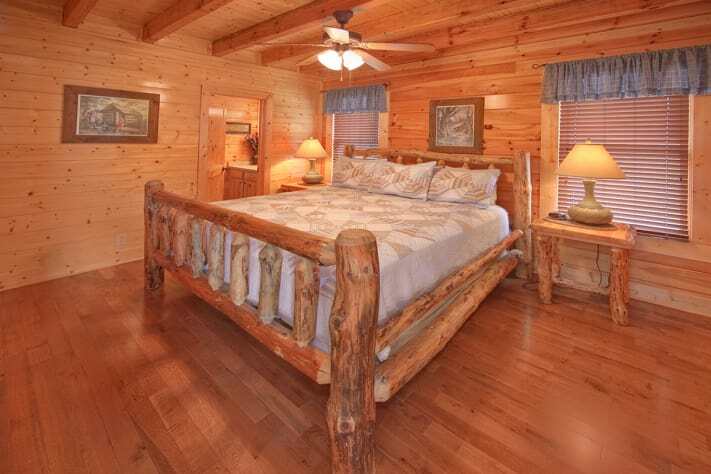 We love to hear that our guests feel our cabin is their home away from home. We hope you will be comfortable enough to call "Shiloh's Rest" home. 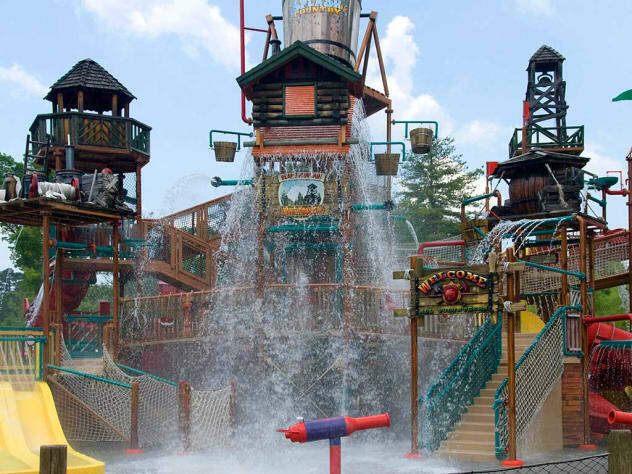 We strive to arm our guests with everything they need to make this one of their best Smoky Mountain Vacations. Thank you for taking the time to leave a review. We spent a week in this amazing cabin with 4 adults and 5 children. 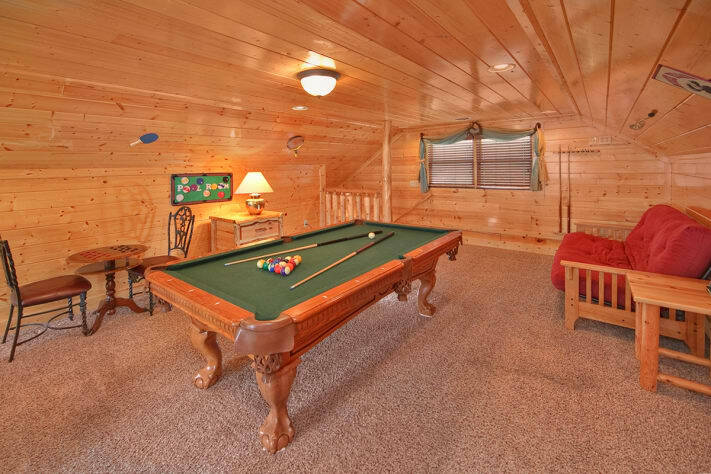 Plenty of space and activities to keep everyone occupied while at the cabin. 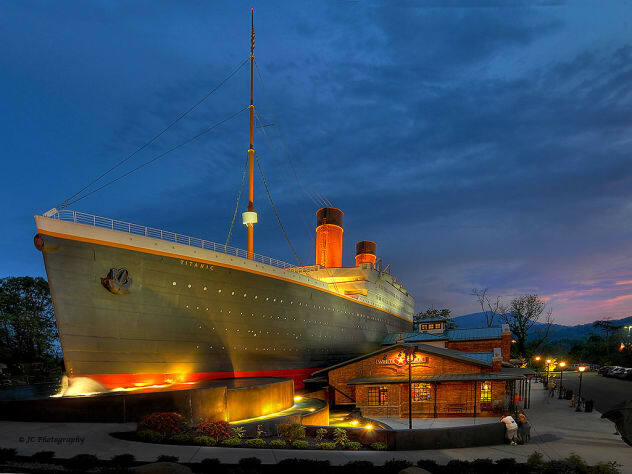 Pigeon Forge and Gatlinburg is only a short drive away. Take a left off the cabin road and your headed through the Smokey Mountain national park towards Gatlinburg, or take a right and head straight to Pigeon Forge and Dollywood. Our family enjoyed a bit of it all. 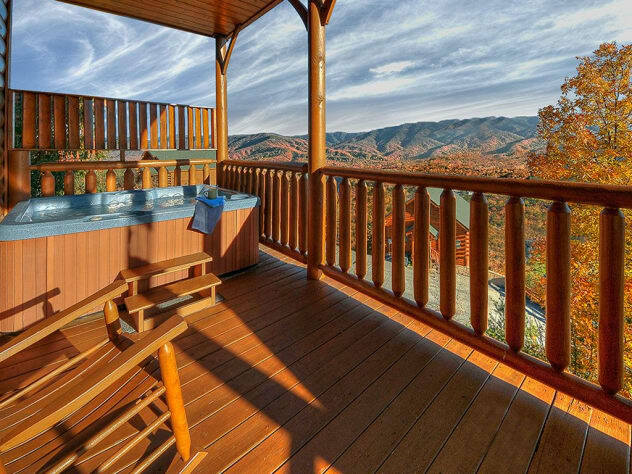 Enjoying coffee on the back deck taking in the incredible view of the Smoky mountains in the morning and relaxing in the comfort of the cabin in the evening. There is also a Harley Davidson shop in Pigeon Forge ( Rocky Top Harley) where we rented 2 bikes for a day, and rode the Smokey Mountain circle. This included the "Dragons Tail", "MoonShiner 28", "Hell's Bender", and much more. If you ride, I strongly suggest taking this ride. This cabin made the stay very relaxing, as it takes you away from all the crowded cities and allows you to relax and truly enjoy the beauty of the area. We will be staying at Shiloh's Rest in the future. Looking forward to visiting in the fall and winter time. Wow, it sounds like you did a lot in your one week and still had time to enjoy the cabin. We love the location of Legacy Mountain Resort as well. It is very easy to get around town utilizing the back roads. Glad you discovered this. I have heard about the Dragon's tail and really hope to check this out someday. We look forward to working with you again. My wife and I were blown away when we walked into the cabin and raised the blinds - it was an amazing view. WE love it! The cabin was very clean and neat - the view was awe-inspiring! I took hundreds of photos of the mountains, early in the morning, late in the evening and then all during the day when we were there in the cabin. Loved it!! We too sometimes wonder how the view can change with the different positions of the sun and clouds. I never tire of gazing at those beautiful Smoky Mountains. Thank you for taking the time to leave a review. 5 stars!!! Amazing place, amazing views, and amazing service throughtout our stay! We had 2 families, totaling 9 and had plenty of space! We will be staying at Legacy Vista every year from now on! 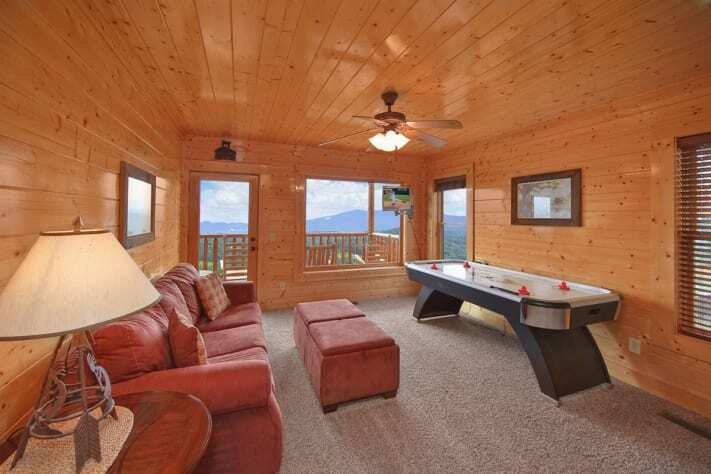 It sounds like you had a great time at Shiloh's Rest in Legacy Mountain Resort. There are so many things to do in the area. And, it is always nice to share your vacation with another family. 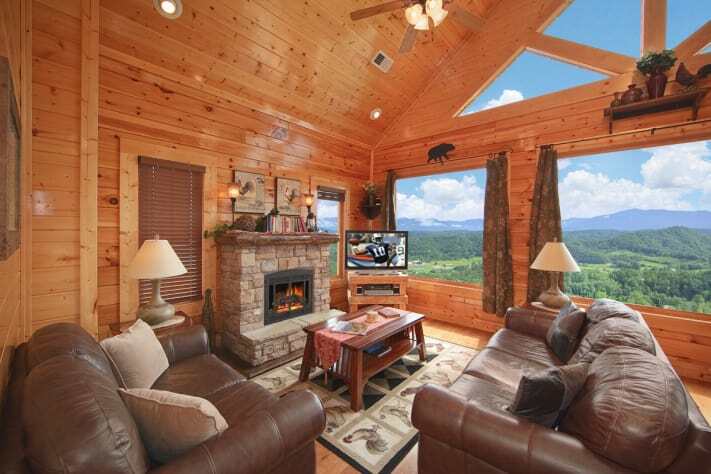 We look forward to working with you again for your next Smoky Mountain Vacation. Shiloh's rest is beautiful, fun to drive to and exceptionally clean. The cabin in minutes from Pigeon Force yet isolated from it and only about 25 minutes to Smoky Mountain National Park. 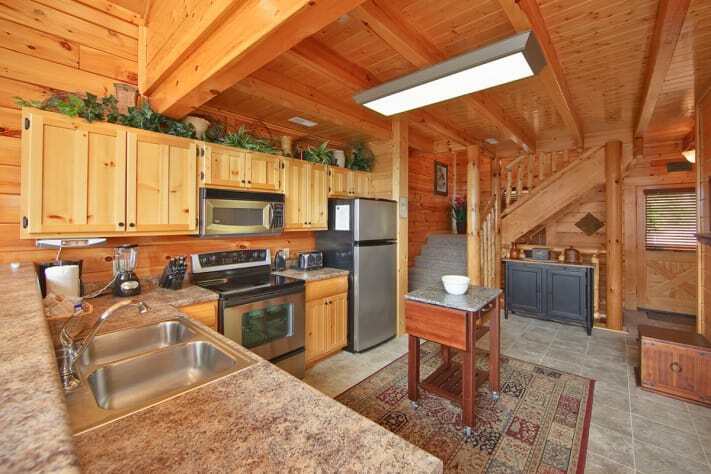 The cabin is a fastastic place to unwind and have some time together with family. 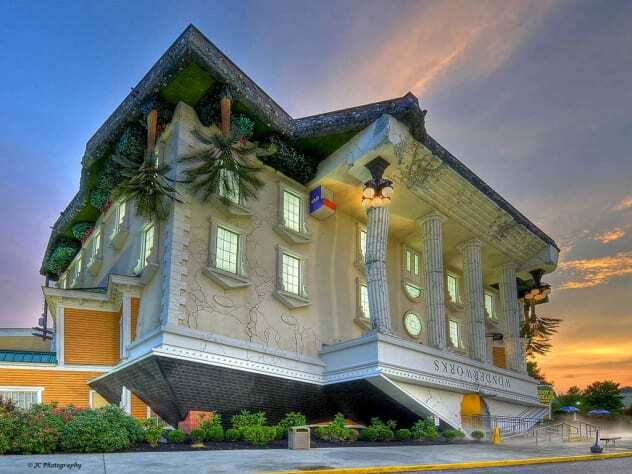 The owners and management company obviously show tremendous love and care for their special place. It sounds like you had a mix of fun and relaxation with your family during your stay. We are so glad you enjoyed your vacation. It sounds like you had a relaxing time enjoying the cabin and what mother nature has provided. We look forward to having you back again for your next vacation.